Interested in getting behind the wheel of the latest Volkswagen Jetta? You’re in luck. Our Volkswagen Loyalty and Jetta to Jetta Lease Pull Ahead programs allow you to easily upgrade to the 2019 Jetta. When you sign up for this program, you will receive a Loyalty Bonus of $750 towards the purchase or lease of a 2019 VW Jetta. Current VW owners of ‘01 or newer Jetta models. This program allows you to end your current Jetta lease up to 4 months early — all payments waived — when you upgrade to another VW Jetta model. Your account is current and in good standing. You have no waived or postponed payments. Your lease is set to end on or before March 31, 2019. 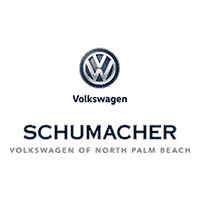 Explore the new Volkswagen Jetta for sale in North Palm Beach, and contact us for more information. This program will run through December 31, 2018.